My favourite season? A/W hands down. 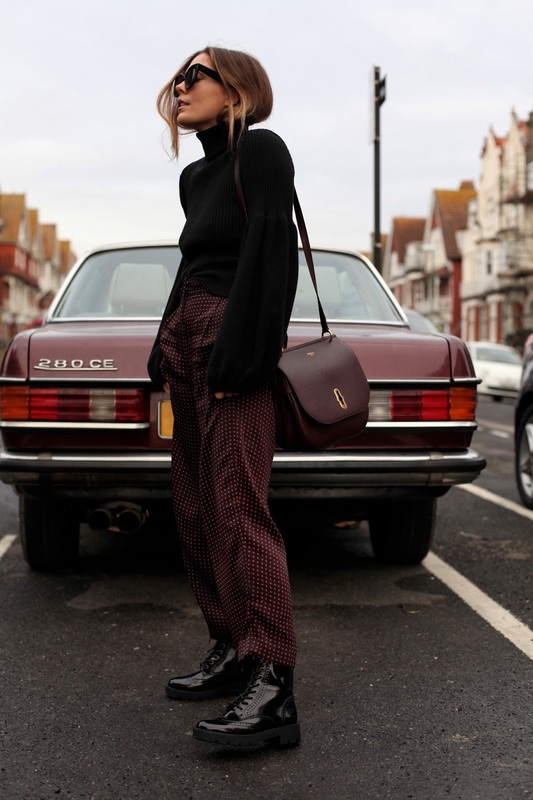 What could you want more than wrapping up in that new season puffa jacket, the cosiest of cosy knits, an oversized blanket scarf and not to forgot those cold fingers, a pair of buttery leather clothes? Nothing is the answer, I love to layer and that's no secret. As we approach a new season it's important to switch up our wardrobe. Whether it's investing in a Winter coat or two to see you through until Spring or switching up your footwear in areas of practicality yet fashionable, it's got to be done! Footwear is an area I tend to struggle with. I find it extremely hard to find the pair of boots. Some say picky, I say particular. 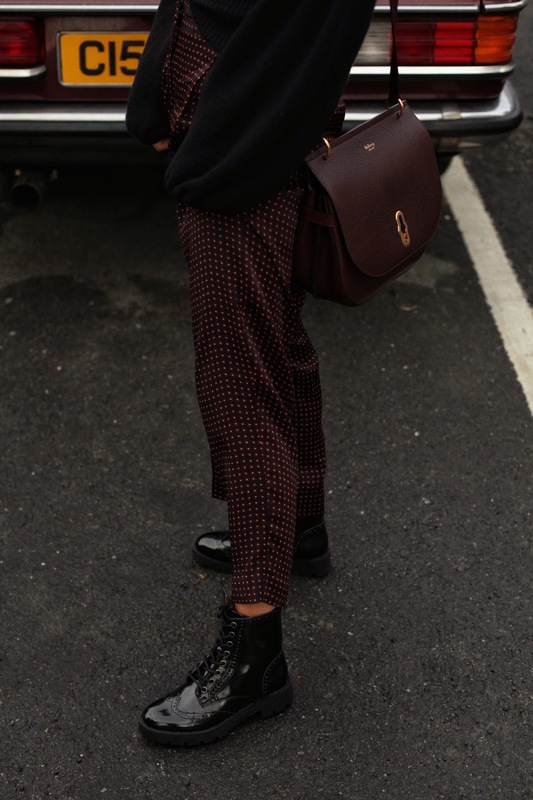 I like my ankle boots with a round, toe, a small heel to give that slight bit of height, but enough for a day to day wear and a small enough of design to be on trend yet see me through a couple of Winters! So when I discovered this pair of patent ankle boots from Deichmann, at the grand price of £34.99 I was pretty smug to say the least. Deichmann have just collaborated with Ellie Goulding and the collection couldn't be more of what I'm looking for! With a wide variety of styles ranging from ankle boots, to knee highs to fashion forward platforms there's a style for every occasion, even on a budget. 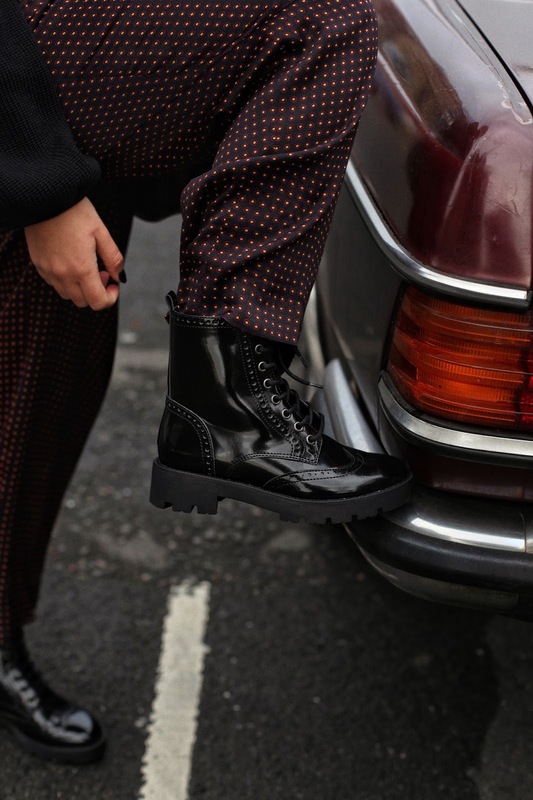 The lace up ankle boots have a really cool brogue detail to the toe, a high gloss patent finish and a real chunky grip to the sole-exactly what we need with our Winters in the UK. I really wanted to bring out the detail in these ankle boots so I've kept the outfit fairly minimal. I've paired them with a black knit, with a major oversized sleeve. 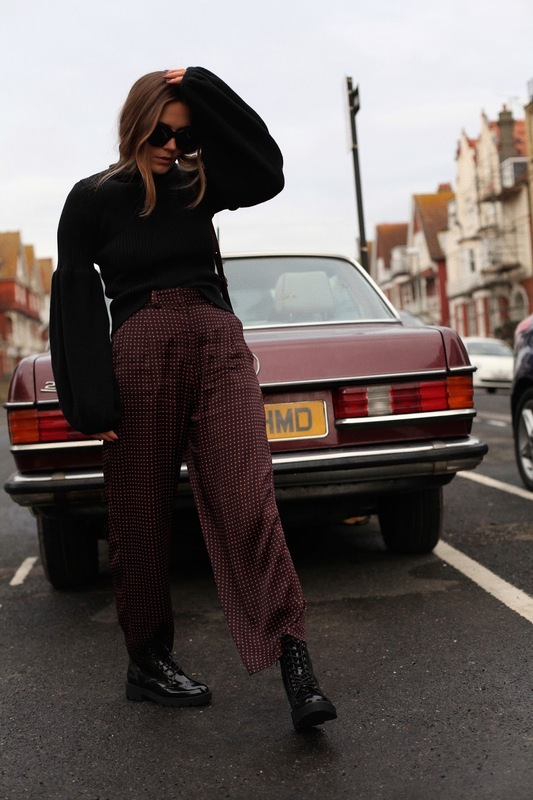 A pair of pyjama style printed burgundy trousers (which matches the old style Mercedes very well!) I'm also planning on wearing them paired with a midi dress layered under a leather jacket or chunky cardi. The style of boots I'm wearing are the lace up boots from Ellie Goulding's star collection. I also bagged these gold buckled detail ankle boots, too. First of all I love your pretty footwear it was amazing. Your fashionable footwear blog is very nice and wearing the pair of trendy shoes makes us happy. All the images are beautiful and helpful for me. I daily search fashion blogs and I found your blog. So, I want to thank the admin for sharing such a great post with us. I just visit your Fashion/Lifestyle blog and it looks fabulous.I love fashion and I always search some new Ideas about fashion so keep sharing your views by your post keep posting.